The tree of life. 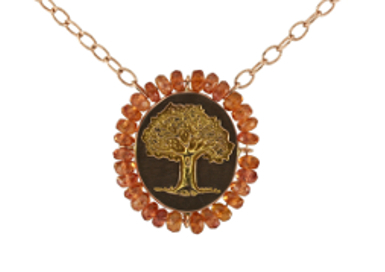 With you and your family close to your heart the pendant contains orange spessertites strung on gold wire. This necklace will make you feel loved.